All Tongan flags throughout the country asre being flown at half-mast today in respect for and sympathy with New Zealand, who this morning held a “National Memorial Service” exactly 2 weeks after a terrorist attack on the 15th of March. Fifty Muslims lost their lives in this terrorist attack which took place at 2 mosques in Christchurch. This was an attack that sent shockwaves throughout New Zealand and was felt throughout the Pacific, because such a horrific hate crime is not common in the Pacific. The impact of this act of terror however brought New Zealanders together, along with the many Pacific communities sending their support and condolences. The Prime Minister – ‘Akilisi had sent a message of sympathy and condolences to the New Zealand Prime Minister – Jacinda Ardern, and the Tongan Parliament also observed a minute of silence in respect of the lives lost in the attack. While on official visit to New Zealand this week with Her Majesty Queen Nanasipau’u, His Majesty King Tupou VI also conveyed condolences for the victims and their families. In a press release yesterday from the Prime Minister’s Office – it states this mark of respect coincides with the “National Memorial Service” that the New Zealand Government held at Hagley Park in Christchurch at 10.00am this morning. The Prime Minister says “The decision that all flags in the Kingdom should be flown at half-mast on 29 March was made by Cabinet in its meeting on Friday 22 March. 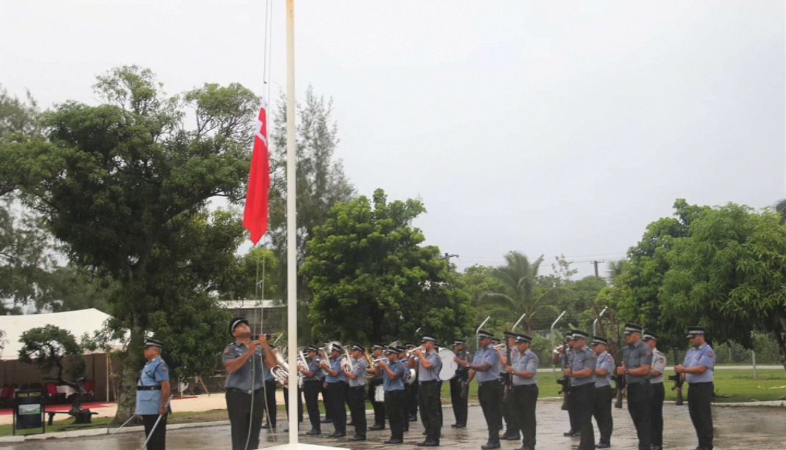 There was also a memorial service and flag ceremony for the victims of the Christchurch terrorist attack, and all those affected by it held at the Tonga Police Headquarters in Longolongo 8.00 this morning.